Come celebrate with us at CST Booth 39. 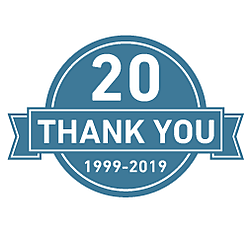 2019 is our 20th Anniversary and we wouldn't be here without you - you've inspired us to think bigger and tackle greater challenges - we've Created Something Together. Stop by our Booth 39 so we can thank you for allowing us to be part of your critical research and learn what's new in Neuroscience from CST. Take a Chance to Win a Pathway Towel. Want to test your pathway knowledge? 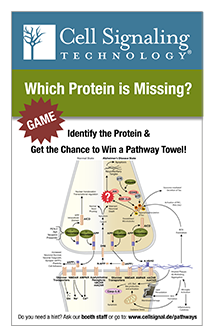 Stop by the CST booth at BNA this year and guess the missing protein in our Alzheimer’s pathway challenge. Guess right and you’ll be entered to win a pathway towel to relax in Dublin! Take the pathway challenge at Booth 39. Researchers like you rated CST antibodies #1 in reproducibility, sensitivity, and specificity in two consecutive Biocompare® reports covering a four-year period. 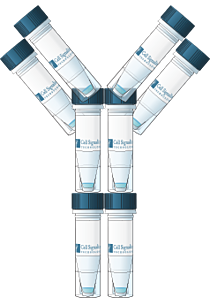 * We’re giving away free microsize antibody samples** so you can see how reliably they work in your assays. Stop by Booth 39 and sign up! ** TERMS AND CONDITIONS: Expires May 29, 2019. Free sample eligible on any 20 µl size primary antibody. Free item value deducted from total order value upon checkout or order placement. Offer (a) excludes all other products/services, including without limitation SKUS #3633T, #3287T and #13684T; (b) may not be applied to existing, pending or prior orders; and (c) cannot be combined with any other promotions. No substitutions. No cash or cash equivalent. Limit 1 promotion offer per order. Unique Promotion code must be referenced when placing your order. Orders must be placed on www.cellsignal.com. Must be registered on www.cellsignal.com and logged in prior to using promotion code for free sample. Void if copied or transferred and where prohibited by law.